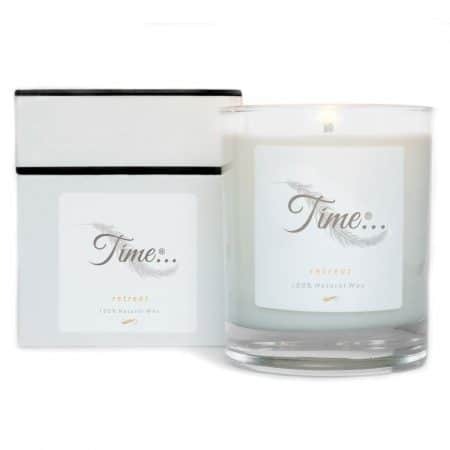 Balance the mind with the sensual aromas of tuberose & ylang ylang essential oils. Bring harmony to your home with this wonderful fragrance that will linger for hours. I absolutely love these candles tried them all and wouldn’t buy any other. A fantastic experience from receiving to lighting my candle. The packaging is second to none with a little note inside which brings a smile to your face, I did not want to light it & spoil it! The delicate aroma fills the room within minutes. This is the new benchmark standard for candles. Thank you so much & can’t wait to add the rest to my collection. This is the fourth scented candle that I have purchased from Kelly and up to now Im having great difficulty in picking which candle that I like the best. Beautiful aromas have come from them all. The aroma just fills the room which is just lush. I enjoy them perhaps you could too.. The level of service received from Kelly and her business was simply fantastic. The quality of the candles are amazing! !